Right before the holidays, I have about a 3 day window when I can get outta town before two months of non-stop printing and stocking the store. Luckily, my good friends, Jason Pawley and Daniel McKinney coaxed me into going on a two night camping trip. We ran down to McAlester to play a few disc golf courses and sleep under the stars. Here's a few highlights from our trip! Shout out to some of the best dogs around. Gracie and Arrow did great out on the courses and around the campfire. We couldn't have asked for better companions! Pawley brought along his pup, Arrow, and I brought my dog, Gracie. The courses are very dog friendly, and they did great. Camping just isn't the same if you don't have a few good dogs alongside. Pawley teeing off at Mekusukey. McKinney and Pawley with the pro disc golf setup. A chump probably missing a putt at Eagle Hill. In three days we played 6 full rounds of disc golf at three different courses, and probably another 18 made up holes around our campsite. On our way to and from McAlester, we pit-stopped at Mekusukey Disc Golf course. In McAlester, we played Buffalo Run and Eagle Hill twice each. All three courses were great, each offering different obstacles and atmospheres. Buffalo Run is an extremely well laid out course and wonderfully manicured. Eagle Hill and Mekusukey are much more technical and in the trees. McKinney was the real MVP of the campsite. He fixed breakfast each morning and dinner each night. We ate like kings! Each day we played 2-3 rounds of disc golf, which ends up being around a 10 mile walk each day. By the end of each day, we had hungry bellies and tired puppies. McKinney made sure we ate well, and I made sure we had plenty to drink. By the time 10pm rolled around, we were all howling at the moon. Each night the stars were incredible, and each morning we were awaken by a beautiful sunrise. The wind died down each night so we could have a big comfort fire. McKinney and Pawley are both serious supporters of the store and brand. Here are a few shameless product shots to convince you to shop with us soon! Acorn slipper boots, super soft joggers, and a quilted flannel: the most comfortable way to spend a morning at the campsite or at home. Jason Pawley, ladies and gentlemen! A handsome devil, a talented artist, and downright friendly dude. Don't let the Marlboro Man stare fool you, he's all laughs. Pawley, McKinney, and myself are definitely advocates of our brands motto. "Wear it out." 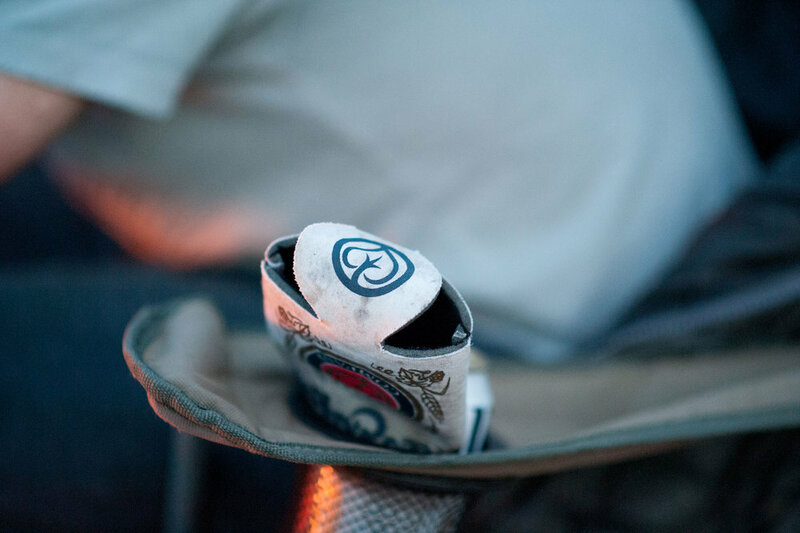 We make sure to get the worth out of our clothes, boots, koozies, and camping gear. Honestly, it all looks better beaten in anyway. You won't catch me without a hat on. 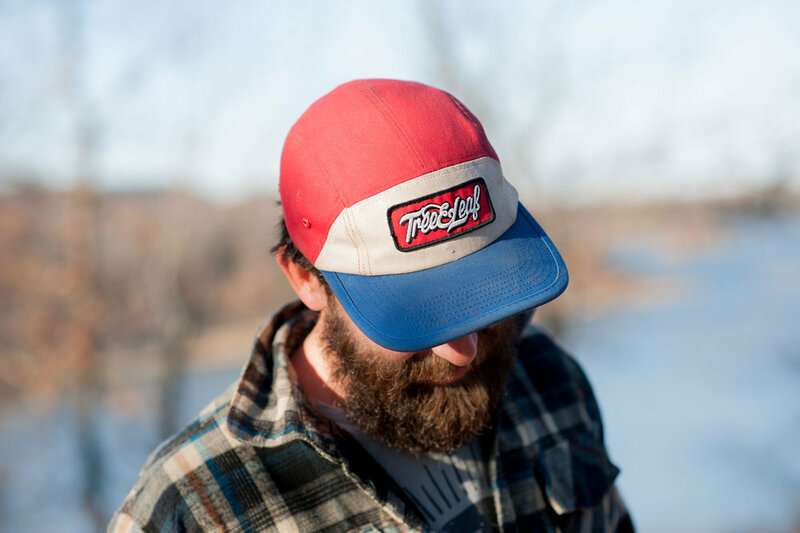 We've worked hard to curate some of the best hats around. You never know when creativity might strike you. Jot down those notes and sketch those ideas, even when at the campsite. This motto is one that we apply to daily living, "Be honest in word, work, and deed." A big thanks to Daniel McKinney for snapping a majority of these pictures. He is a good friend of our store and the Plaza District. Get outside, throw some discs, hike a little, and give your dog a hug. If you're doing those things in our apparel, tag us in photos on social media or use the hashtag #TLwearitout. Until next time, cheers chumps!